Commercial real estate will give you a steady flow of income and long term leases that will guarantee you income for a long time. The advantages of commercial real estate are so many including tax benefits, building of equity, ability to use it as collateral if you need a loan amongst others. However, anyone who has been in commercial real estate will tell you that there are some aspects that make it difficult to be in commercial real estate. So what are the disadvantages of commercial real estate? Owning and managing commercial property is time-consuming. You have to manage the tenants, you have to manage the structures, and you have to deal with the public among other things. Even if you hire a manager to run the properties, you will still have to know what is going on. You also need to hire quite a number of professionals to help you manage the property. This means that you have to deal with the aspect of cost, which has to come from your income. If you choose to work with a property management company, so that you do not have to deal with the day-to-day running of the business, you’ll have to give up to 10% of your revenue. This will significantly reduce the amount of income you get from the property. You, therefore, need to carefully consider whether you want to run the business on your own or hire a company to take on the responsibility. Both sides have pros and cons and it really comes down to the individual preference. You need to consider the level of investment. The initial investment for getting commercial property is high and some of the maintenance costs can be huge. It is therefore important to be realistic about the revenue you hope to get from the commercial property because there so many expenses you’ll have to take care of. Depending on the number of properties you own, for example, if you have a whole line of warehouses, then the cost of maintenance will be very high. Factor all this in when you are doing your calculations. While commercial property leases are the best because they tend to be long term, finding tenants can be a challenge. If your tenants do not stay and you keep on having a high turnover, you will find that there are long episodes when you do not have an income as you look for new clients. Commercial real estate is a good way to make money, but there are many factors you need to take into consideration before you make the final decision to take the plunge. 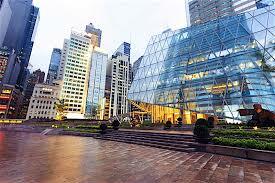 Commercial real estate is very volatile because it depends on how stable the economy is. For instance, tenants will not be able to pay rent if their businesses are not doing well due to how the market is performing. 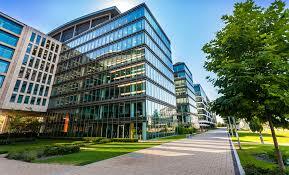 Some lenders also find it difficult to give financing when you use the commercial property as collateral.